Hyvinkää Falcons Under 13 Juniors (E - junior team) will participate in the SAJL league this season with energetic sport loving team. 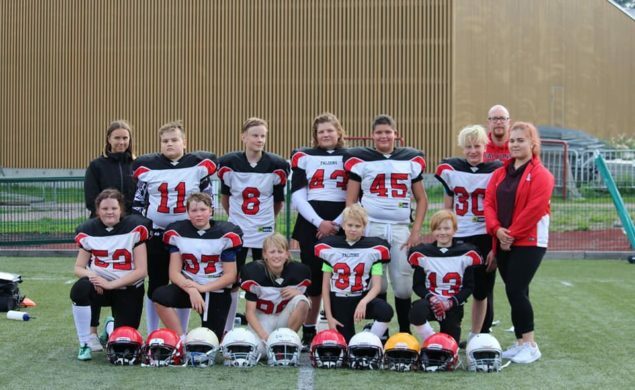 Falcons U13 comprises of players between the age of 11 - 13 years old and are interested in playing American Football. This season also provides an opportunity for new player to join the team and participate in 5 x 5 U13 tournament. This division help prepare potential players for higher division team. It is less competitive and perfect for gaining experience and understanding of the game. All sport loving players are welcome to join. Please contact us at anytime and its never to early or late to pick up a new thrilling hobby. Player Attemps Gain Yards Loss Yards Net Yards Yard Avg Longest Rush TD 2 Point Conv Fumble Fumble Lost Fumble Rec.